WAYNE, New Jersey (WABC) -- A New Jersey man is under arrest after police say he beat a 6-month old husky puppy to death with a kitchen chair. Officers responded to a report of a physical disturbance at a home on Travelo Drive in Wayne around 11:30 a.m. Friday, and upon arrival, they were informed by the caller that a fight had taken place in the residence earlier in the morning between the resident and the person reporting the incident. 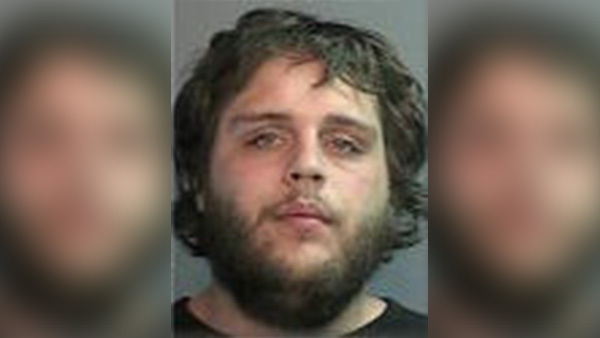 During the disturbance, it is alleged that 23-year-old John Varcadipone killed the puppy. The officers took note of the dog's body on the floor inside the residence, which was described as strewn with broken furniture and blood. The New Jersey SPCA was notified and responded as well. Witness statements were taken, resulting in Varcadipone being charged with aggravated assault, simple assault and cruelty to an animal resulting in death. Authorities say Varcadipone was located at Chilton Hospital, where he was being treated for injuries sustained in the disturbance. He is being held on $75,000 bail and was transported to Passaic County Jail.